What Happens When an Officer Calls Out Police Corruption Within His Force? It was the Friday after Thanksgiving, 2012. Baltimore police Officer Joseph Crystal had just come home after visiting his in-laws. As he and his wife approached their car, Crystal noticed something was wrong. There was a dead rat with its head clamped underneath the windshield wiper. To his colleagues, Crystal was a snitcher, someone who gave a black eye to the Baltimore Police Department. For Crystal, he just wanted to do the right thing; to live up to the integrity his parents taught him was so important. Crystal is a whistleblower police officer who was forced to resign from the Baltimore police force after facing harassment and threats for speaking out against other officers’ misconduct. After unarmed men were killed by police officers in Ferguson, Mo., and Staten Island, New York City, the public has shown its distrust and dissatisfaction with law enforcement through hundreds of protests. At a time when many people have lost their faith in police, Crystal wants to let people know there are still good police officers out there. 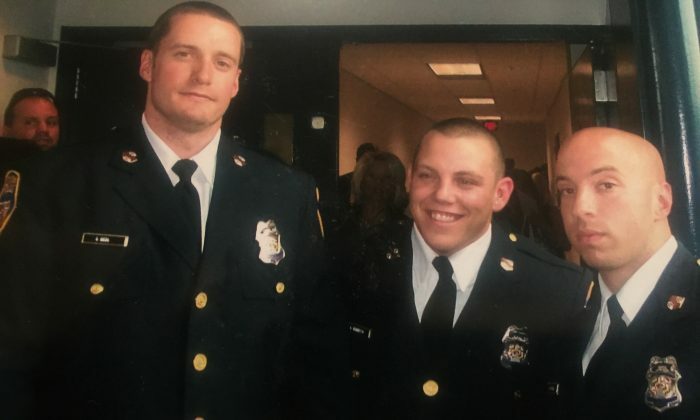 He hopes his story can encourage other officers to come forward when they see wrongdoing, and begin to heal the divide between police and the citizens they swore to protect. It all began about a year ago, when Crystal was patrolling the streets of East Baltimore as part of the department’s Violent Crime Impact Division, the unit in charge of chasing violent repeat offenders in one of the city’s most crime-ridden areas. At the time, Crystal was a rising star in the force. Just a year after he graduated from the academy, he was promoted to detective. During a regular patrol, Crystal and two other officers saw a group of people selling drugs. When one of the suspects spotted the officers, he threw his bag over the fence and took off running with it. The officers chased him into an alley, but then lost sight of him. I didn’t become a cop for this type of reason. Then a 911 call came over the police radio, describing the suspect breaking into a house. The officers caught up to him and placed him in handcuffs. It turns out the suspect broke into the home of a police officer’s girlfriend. The officer’s name was Anthony Williams. Crystal and the others didn’t know this at the time. But just before the suspect was to be transported to the local jail, Williams, who had arrived at the scene, and Sgt. Marinos Gialamas, had brought the suspect back into the home. Crystal was waiting outside the building, but he heard the rumbling noises, and the sound of someone hitting the floor. The suspect then came out limping, his shirt torn open. Crystal later learned that his ankle was broken. He told his division’s sergeant, Robert Amador, what happened that night. But Amador told Crystal not to snitch, that it would cost him his career. Amador said to keep quiet. Crystal didn’t feel it was right. With his concerns falling on deaf ears, he decided to report the incident to a prosecutor at the state attorney’s office, whom he knew. In October 2012, the prosecutor took on the case and placed charges on Officer Williams and Sgt. Gialamas. Very soon, word got out around the department. Crystal found blocks of cheese on his desk. Other officers called him all sorts of names. It didn’t bother Crystal too much. “If this is the worst blow back I’ll get, I’ll take it and smile,” Crystal initially thought. But then, other officers refused to ride in the patrol car with him. While out alone, Crystal saw a suspect selling pills of heroin on the street. When Crystal approached, the guy ran. As Crystal pursued the man, he radioed for backup, but no one showed up. It’s an honor and a privilege to be a cop. We need to police ourselves. We need to hold ourselves to a higher standard. Several days later, the same thing happened again. This time, when Crystal returned to the station, his supervisor Amador told him he was getting demoted to being a patrol officer again. Soon thereafter, the rat incident happened. Crystal reported it to county police. The investigating officer deemed it a case of witness intimidation. Crystal was so worried about his wife’s safety that he told her to stay with her family for the time being. Then, they changed residences, twice. Although the city police department promised an investigation, no one took a statement from Crystal. It wasn’t until two years later, when Crystal recalled the incident during the officers’ trial, that the department finally took action. But by then, the statute of limitations on the case was over, Crystal said. Nothing could be done. When Crystal sought assistance from his local police union, the union president told him that it was “blood in and blood out” at the police force. He was to either take the demotion, or leave the agency. “Blood in, blood out. That’s terminology used by gangs. It was a reality check. We’re cops, not gang members. We have an oath to uphold,” Crystal said. 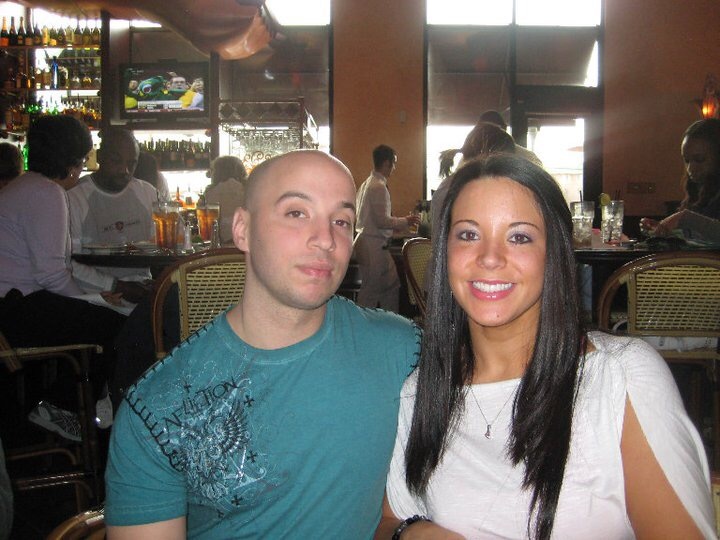 Former Baltimore Police Department officer Joseph (Joe) Crystal, with his wife, Nicole Crystal, pictured here at the Cheesecake Factory in Towson, Maryland, in 2013. In September 2014, Crystal finally quit the Baltimore police department. He now works as a police officer in Walton County, Fla., where he lives with his wife. His current colleagues have heard about his experience and are supportive of him. One of the department’s senior officers even offered his contact information in case Crystal’s wife ever needed it. The case of the two Baltimore officers went to trial in February 2014. Officer Williams was convicted of second-degree assault and obstruction of justice. Sgt. Gialamas was found guilty of misconduct. In December last year, Crystal filed suit against the Baltimore police department and his supervisor Amador for violating his right to free speech, for owed sick and vacation time, and workplace harassment and retaliation. Crystal hopes his lawsuit can influence changes to the Baltimore police department, so that whistleblowers who see wrongdoing are empowered to take a stand—and not get punished for it. He believes most police officers do their jobs right, but when there are bad apples, police departments should make sure to weed them out, not protect them. More importantly, he hopes his case can show people that police officers still have integrity, and thereby win back their trust. It’s a vital tool for effective crime-fighting, Crystal said. “In an area where you have a clearance rate of less than 50 percent in homicides, one of the most problematic cities in America (referring to Baltimore), how do you really expect to get the citizens to help you solve these cases?” Crystal said. The Moreland Commission that Sheldon Silver negotiated to close down was looking into Silver's outside income for potential corruption.